Our extensive inventory offers the very best in lighting rental equipment. We have an unrivalled ability to provide creative solutions, so if you have a special requirement talk to us. The Falcon Eyes Flexible LED panels have a CRI value of 95. With the newest technologies it is even possible to roll your panel like a cylinder, which you could use for example with 360 panorama photography. You can dim the light step-less till 100%. The included Velcro tape gives you the opportunity to attach your flexible LED mat onto almost anything. With the Q-LED, the options are endless. 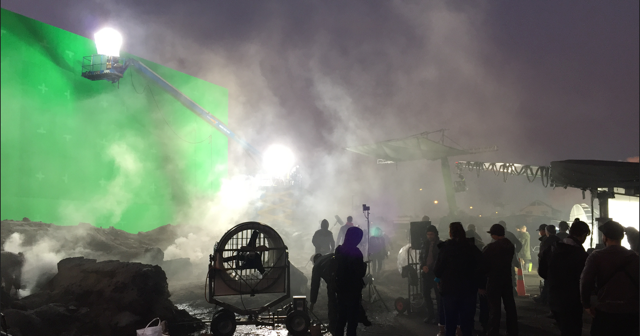 From lighting actors to lighting environments, the versatility is only limited by your imagination. Stack lamps into large arrays to form LED panels of tremendous size and proportion. 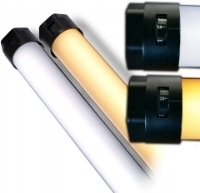 Light backings with unprecedented energy efficiency. String overhead above diffusions for the perfect sky. No matter the task, Q-LED Linear Lamps are up to the challenge. Continuing to lead the LED revolution in form and function offering Bi-Colour versitility at 4 times the intestity of the original 1x1 LED. Learn more..
Full range of portable batteries and V Mount battery chargers. 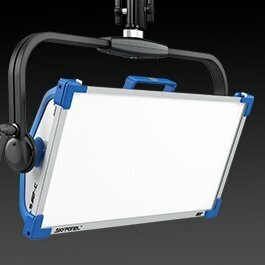 'Missy' is our Softbox range purpose built for lighting vehicles. To view photos click on the arrows on the photo. The most sought after application for these Light Cubes is studio roofs, however often also used outdoors. Skins are available in either natural or colour corrected options. Click on arrows to see further photos. Our Celine Softbox is readily assembled anywhere in a studio or on location to create a night ambiance. Designed with the South Pacific weather elements in mind, and rigged with a crane in your location. This 12K HMI Fresnel light is perfect for situations where you want light to point straight down. Lantern Lock - China Ball 12" and 17 3/4"
We have frames available for all size screens.